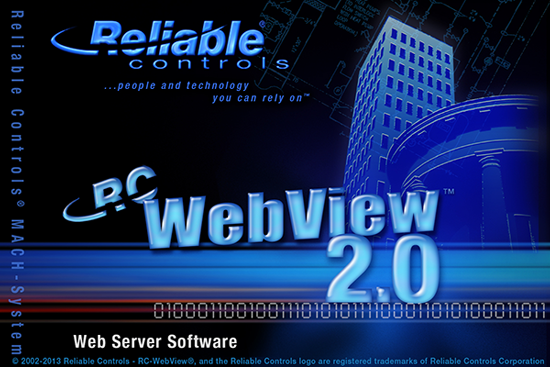 Instead of accepting the boundaries of client-side software, RC-WebView® 2.0 offers building operators thin-client freedom. Easy to configure and limited only by the host-server capacity, RC-WebView® provides secure access to building systems via IE 6.0. Operators can view or override points, adjust weekly and annual schedules, view/graph/print logs, and view/print current alarms. Administrators can easily track every user change.